﻿ WORLDS 2014 Finals – Carolina Marin is the new World Champion! WORLDS 2014 Finals – Carolina Marin is the new World Champion! Carolina Marin took centre stage to prove that fairy tales do come true. 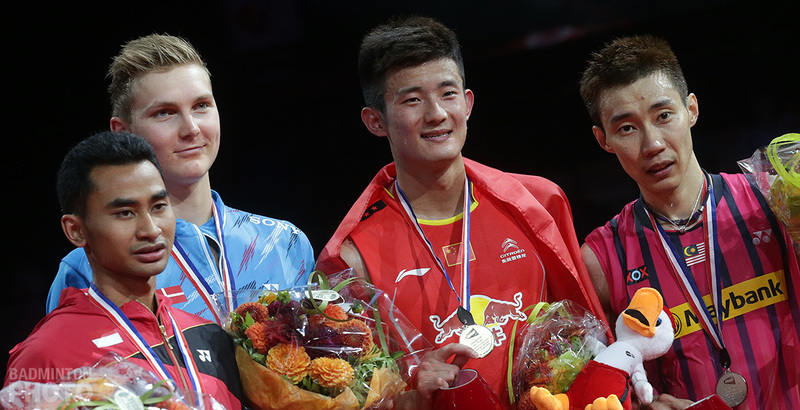 She held her ground against a seemingly unbreakable wall, Olympic champion Li Xuerui and with the full support of the crowd, accomplished what no other European has done in 15 years, be crowned as the 2014 women’s singles World Champion. It still was not meant to be for Lee Chong Wei, though, as Chen Long snatched a 7th straight men’s singles title for China, yet again breaking the hearts of Malaysian fans. 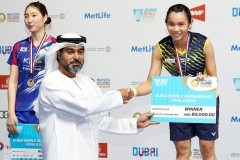 It looked as if Li Xuerui would not be denied gold this time as she opened the match strongly, leading all the way in the first game. Marin, however, matched the Chinese world#1 in physicality and speed and several times would catch Li too late to get behind the shuttle and the young Spaniard reversed the result in the second game. “Carolina, ¡ vamos !” cheers from the Danish crowd lifted Carolina Marin to provide her the extra energy and guts overtake the lead in the latter part of the final and deciding game. As Marin registered the final point, she broke down in tears of joy as the crowd got to their feet to celebrate the crowning of a new World Champion. “In the first game, Li Xuerui was playing well,” said Marin afterward. “I felt the rallies were too long. Before the second game, my coach told me that if I wanted the gold medal, I would have to fight till the end. So I fought. “I focused on the game plan at every point. I tried to keep Li Xuerui away from the net as she is really good in front of the net. I pushed her to the back and I knew that she was also tired. “3-4 days ago, I felt really negative about having to play in the World Championships. However, as I started playing my first few games, I started to feel more confident. When I reached the semi-finals, I then thought that my goal in this tournament was to win a medal. And I don’t want the bronze or the silver medal. I want the gold medal. So I fought for it,” said Marin, who now holds both the European and world women’s singles crown. Badminton aficionados assumed that with the absence of Lin Dan, world #1 Lee Chong Wei would finally have his hands on the gold medal. 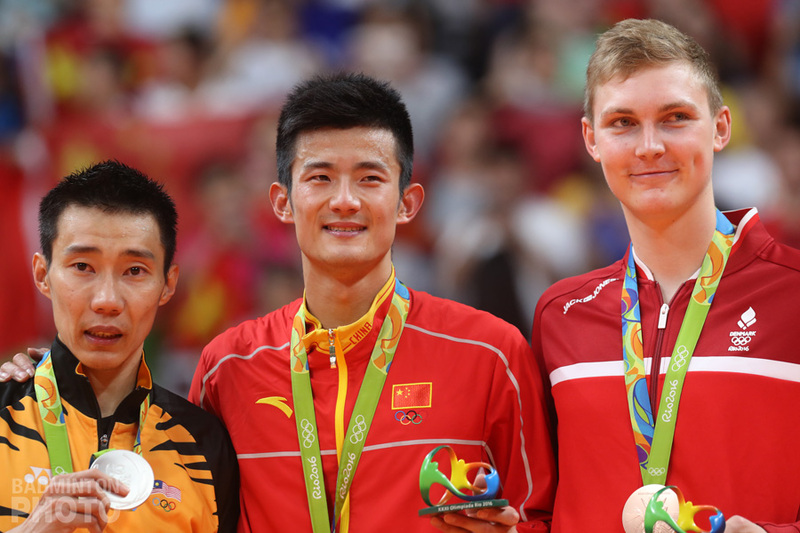 He increased the pace and continuously attacked Chen Long, but the 25-year-old had other things on his mind. He craved a chance to prove that he is indeed a worthy successor of the great Super Dan, and that meant the ultimate mission of bringing the gold back home. The world #2 did so and once again, in three consecutive years, Lee Chong Wei is second best behind a Chinese champion. “I don’t know what I’m feeling right now. 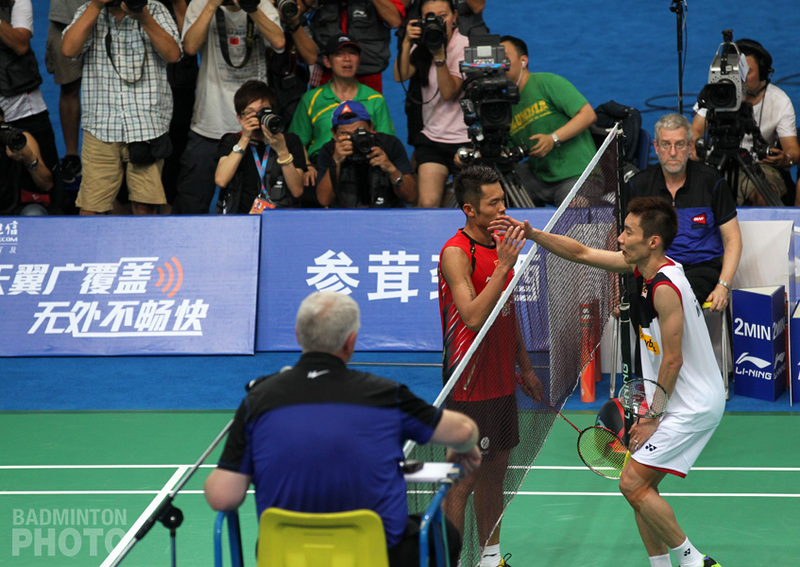 I have tried my very best,” said Lee Chong Wei after the match. “During the match, whenever I was trailing behind, I just told myself not to give up at every single point. I think I played really safe game today as well. “I will keep trying for the World Championships title until I retire. I would like to say sorry to all my fans and supporters since I am not able to give a very big present to my country. However, I will keep trying and I hope that they will continue to support me until I retire,” added the Malaysian, ever-gracious in defeat. I enjoy the sound you call noise, be ready to listen that marvelous sound for many,many years. She makes grow up bádminton around the World, only chinese biggies is too bore. I really hate the way Marin played. She is so noisy. It ruined the game for me. who cares. 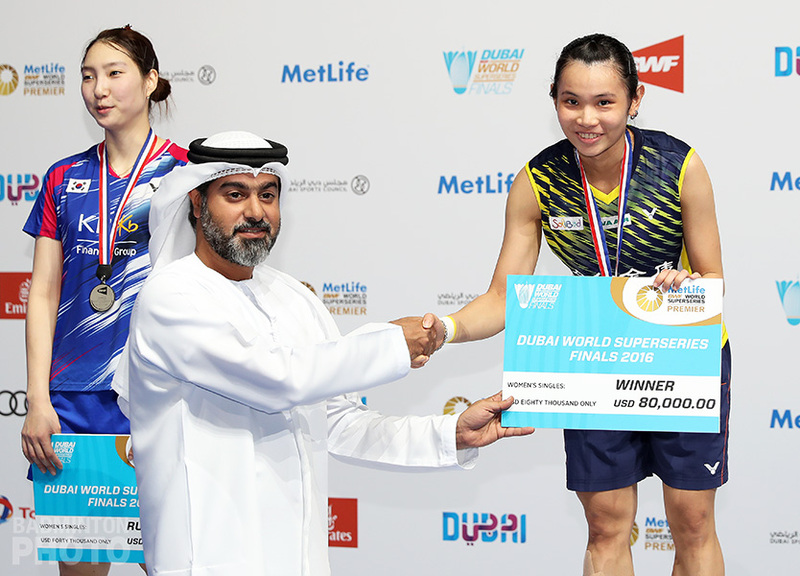 badmintonn is only a minority sport and wishes it could be as popular as football. I don’t have to prove anything to anyone here… people who come here regularly know what you do for a living..
You belittle any non Chinese player who achieve so much and play consistently. Example, your views on LYD: any player to come out of a ban to perform at the highest level is not luck. Look at what LYD achieved after his comeback and how this pathetic excuse of a self proclaimed expert writes about him… grow up imbecile. Grow a pair to face that there are lot of players coming up other than China! Why does every player who loses in the final is considered a choker? It’s not like LYD or LCW got blown away in their matches. If they did then that’s called choke! Or if they held a big lead and then collapsed, that’s a choke. You ever have anything nice to say about non-Chinese players? Uh, because LCW has a tonne of super series wins, cause he’s ranked number one, cause Gillian Clarke and her friend commentators always go goo gaa over him, saying he deserves this and deserves that, cause the Malay fans all say he’s the best, yadda yadda yadda. Well, with all that, the only problem is that their LCW couldn’t deliver. If LCW and his fans can’t handle the pressure of losing in the big finals, than LCW shouldn’t play so much, he shouldn’t be ranked #1. If LCW deserves so much than he should go out and prove it. If he can’t do it, than he’s not as good as everyone and he thinks he is…simple as that. 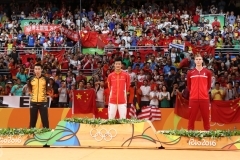 And i don’t like Ma jin, Xu, and wang Xioli, and some of their coaches. I said it before and I’ll say it again. Next time you want to assume something, try doing some research first. Don’t pound your Malay and Indo drums so fast…it’s so obvious, man. You grow up buddy. You;re name states how grown up you are. A grown up 3 year old. 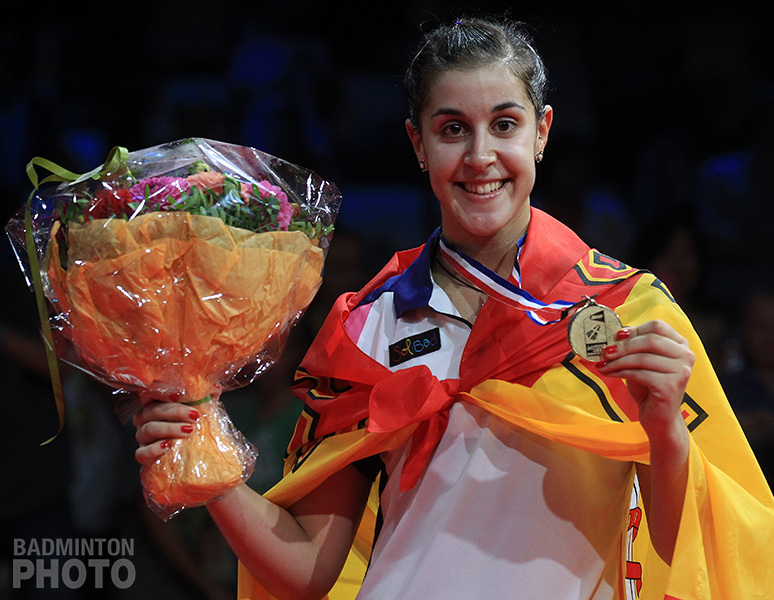 Congrats to Carolina Marin! Now the woman badminton is truly almost like anyone’s game, and not just confine to the Chinese players. I write in the name P-biased is because Pbased is a disgrace to the Badminton Community with his biased point of view! You write in that name because that’s the kind of snarky person you are…a 3 year old snarky smarmy kid. Yup Ant, That’s what meant and clearly written as ‘Even Chen Long Acknowledged that luck is a factor’. And I’m not even Malaysian for that matter and I’m just a Fan of Badminton. The reply from Pbased shows how biased he is towards Non-Chinese players. Yes, only Chen Long has luck, no one else. Now if you would be so lucky, you could win a world championship too, Captain Obvious. Even Chen Long agrees that there’s Luck that plays a part but Pbased won’t agree to it! You’re right. When Chen Long beats LCW it’s just luck. When LCW beats Chen long it must be skill. No wonder you have the name you do. Do you also pound drums for a living in stadiums? I do not think ‘P-biased’ meant that. It’s just that given the score, it could have been for LCW as well, even though when watching the game one could see that Chen Long was slightly more dominant. Chen Long acknowledged that he got lucky during the game, but this is what it takes to win a match with such a small margin. Don’t make excuses for him, we all know what he was trying to say. Hence, his name. Or do you not understand his snarky sarcasm? LCW, LD and CL are so closely matched that i do believe luck elements are present in each and everyone of their matches. CL is definitely lucky to have beaten LCW in this match, and vice versa if LCW were to have beaten CL here. There’s nothing embarrassing about that. Just look at how close the scores were – they could have turned either way. All of them are currently the top notch players. Oh, you make it sound like all it takes to win at that level is luck. Well, if you feel like your a lucky person you should sign up for the tournament..you could easily win. That’s right, all the top players win because of luck. Maybe you should play the lotto tonight. And the umpires are ruining the game. They rush the players after a long point, at times they won’t let a player test his new racket, they can’t keep the proper score after a challenge and then they act like they’re right, they won’t let players change shuttles when both agree to, it’s as if they’re in a hurry to go home to eat supper. Gives the game a bad image and some of these “hero” umpires think that fans come to see them and not the players. And then there’s the service judge. Why bother even having a high serve when 90% are called faults? We all know most players serve about the waste but then if it’s one more inch higher its a “service fault!” and oh, the best ones are the guys who call service fault on singles games. As if serving an inch above the waste has any affect in a single game where the receiver is standing a mile away, unlike doubles. Now that is funny, and not in a good way. Another “hero” umpire trying to make his mark on the game and make use of himself instead of doing his just WHICH IS TO SIT THERE AND HAND OUT SHUTTLES. The sheer amount of folly with the umpiring and service judge never ceases to roll my eyes up to oblivion. I think some umpires are really doing a bad job. Just look at how Tommy Sugiarto injured himself in his SF because the umpire didn`t let him have the Court mopped enough so it wasn`t slippery. I also think the fault reciever call against Praveen Jordan in the QF was arbitrary, it makes me wonder if the umpire wanted the danes to win. That’s what I call “hero” line judges. They want to decide the outcome of the game and it’s usually during critical times with lame service fault calls. And before I forget, two things. I’m glad that LYD lost to his former partner and it must have felt great for Ko to exact some revenge. I’m sure it must have been hard for him to feel like the scapegoat because he was paired up with Korea’s “star” and that’s the problem. I read LYD mentioning about his former partner saying if they didn’t win the bronze at the Olympics it would have affected their friendship. And i thought, what a pr&ck LYD is to say such a thing. given the fact that after JJS retired, his game went nowhere. He should be happy he had JJS as a partner and try to live up to his own expectations instead of making others feel like they don’t live up to his. This is the Korean Badminton fed’s fault, as they build LYD as some “idol star”, all his partners must feel that they are under a microscope and have to measure up. Korea and LYD need to understand that LYD carries half the weight and it’s his fault half the time matches are lost. I’m sick of LYD always carrying this chip on his shoulder that he is the one to please and the one who is the star, while his partner JJS and Ko carry the burden of being the goat. Must have been hard on Ko knowing that when you’re playing with “idol LYD means that you;re the goat if they don’t win. LYD typically will get the free pass from accountability. so I’m glad that spoiled “star” got his karma. the second concerns the BWF youtube site. It took about 4 points into the LCW Chen match before it was posted on the sight? I thought for a minute there that the people who were in charge of uploading video feed were the same bozos as the one who screwed up the Thomas cup last match feed. So amateur. Another thing is the music during the intermission. They were playing elevator country music to the crowd. Seriously? Country music in a badminton tourny? WTF is going on? If BWF and Poul Erik think that cheesy country music and vases is going to bring the sport higher? God, you mind as well let the malaysian drum pounders run the tournament instead. And why on earth when watching a live event on BWF tube do you have to click out and click back in after every match? In this day and age, is it that hard to make one video with constant live feed of the entire broadcast? Is it that hard BWF? 1st match is over, please click back to the site and click on the second match to watch. Repeat for the 3rd match etc. How hard is it to upload the 5 matches on one video stream? It’s stuff like this that keeps badminton from ever going higher. You’ve raised interesting points mate (especially concerning the star system around LYD), but do not forget LYD was Olympic Champion in mixed doubles in 2008. He’s no ordinary player either, in his early twenties he had already achieved what most players would only dream of. He still is one of the most skilled men’s doubles player, especially at the net. Their opponents in the final were just a little better on D-day, imho, there is no real concern as to LYD’s potential/skills. I have watched the entire game live, it was really 50/50 chance, LYD/YYS were not outplayed at all. Lin Dan has won more and accomplished more and doesn`t even have half the ìdol superstar`attitude chip on the shoulder LYD has. 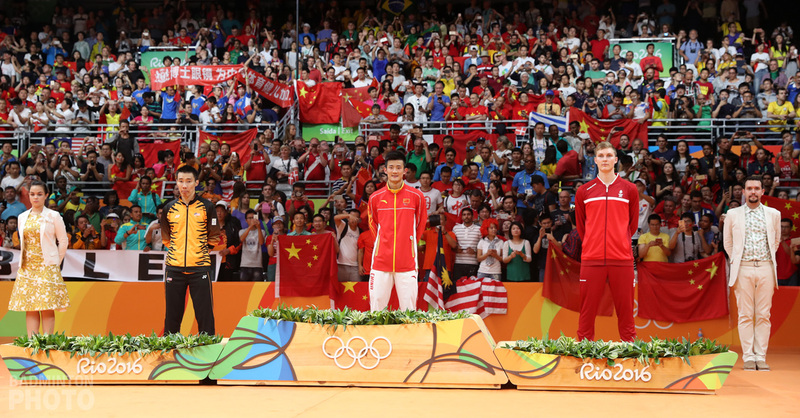 Time for the korean Badminton Fed and media to stop babying LYD. He`s won a gold in xd…but he was just half the team. his xd partner retired. So how many gold medals in xd had LYD won since then? He`s good, but not a god of badminton ad many seem to think. You are only as good as your partner and when you win as a team and you lose as a team. When the wins it’s all LYD and when the team loses it can’t be his fault. This is why LYD hasn’t had the amount of success he thinks he should have. and that’s the problem, it’s all about him…to him. of course every player has pressure , i merely talk about the pressure he got on his shoulders to claim a major title from his fellow country men. With him being so dominant in the ss circuit it fits a player like him to bag these titles. Lin Dan has already won so many titles in a country where badminton is big but not that big as in Malaysia, Tago is not considered a serious contender in his country which is not badminton crazy like Malaysia I guess it’s applies to Denmark where football is the dominant sport. Really, it is wonderful thing for carolina. Bravo… first to win a gold medal in world championships from spain. Marvelous. This is what li xuerui told about saina.. “first she(saina) should win non-chinese player” something like that. If I am not wrong, carolina is a non chinese player I think. But, after becoming world champion, ratchanok did not even won a super series title.she was beaten by every top 10 player and also even akane yamaguchi . Let’s see how carolina will do in the current year. credit to Chen Long for his age he played a great tactical game with some masterclass foot work and defense skills. I noted the very quiet reaction of the crowd when CL was victorious , it’s indeed all LCW and people see him as sole player who could beat players from China, so they root for him. interesting note is that LCW has enormous pressure to win a world title as Malaysia never won a title, Spain and USA even have one, that must be so sickening !! Enormous pressure to win for LCW? You don’t think players like long or Lin Dan or Jan or even Tago have enormous pressures? There’s enormous pressures to not get even cut if you’re already waiting in the wing of the national Chinese badminton program, let alone win a tournament. Every player has pressures, it’s just that some work at winning while others expect things to get handed to them. Well well well, looks like good fortune fell on Carolina as Li was hampered by a right leg injury and couldn’t even move properly after the first 5 points. All credit to Carolina but it won’t be this easy in any finals in the future with healthy opponents, one thing’s for sure, Chen Jin is going to get canned after this. From Nang to Chen the ws players are getting worse and worse with unusual mental break downs in game. It’s like they can’t even play their natural way. As for LCW, was there ever a doubt, all the pundits said that he would roll over Long, but as I said b4, Long has beaten Lee and the last 2 losses to him coupled with the embarrassment at the Thomas cup has made him more hungry for retribution. What gets me is why so many sports ppl keep on saying that LCW deserves the world or Olympic title…as if by saying it, no other player deserves it. There is no such thing as justice in sport, neither is it a charity, if players won because of how nice they are, LCW would not be the only one who deserves to win. Nothing is handed to you in sport, even if you are ranked number 1. These sports ppl keep on banging on how LCW deserves it, well the one who goes out and wins it deserves it. The expression of self entitlement is sickening and I’m sick and tired of how LCW deserves to win. And side stepping the real problem is LCW’s fragile mentality going into these big finals, he just doesn’t have what it takes when he gets real resistance. Sorry Malay fans, LCW had no real push back until the finals and when things didn’t go his way, he crumbled like a dessert crust. Gillan Clarke as much as I like her is getting repetitive with all her ” LCW should, deserves to win” talk. Maybe that’s LCW’s real problem, he “thinks” he deserves it too. Maybe Li Xuerui would have won if she didn’t have that right leg injury problem in the final? Maybe LCW would have won if he didn’t get that injury that made him miss the Commonwealth Games? I do agree that nobody in any sports should assume they deserve any championships victory. Things that LCW should deserve for example is to participate at the year end Super Series Final. He truly deserves that. Can you agree with that Pbased? Perhaps it is time that LCW seeks help with a sports psychologist. Many top athletes in order sports do that anyway. And yes I also agree that Gill Clark repeats things too often! That’s for another discussion.